Disconnect all the cables which are connected between four G12T-75 speakers. 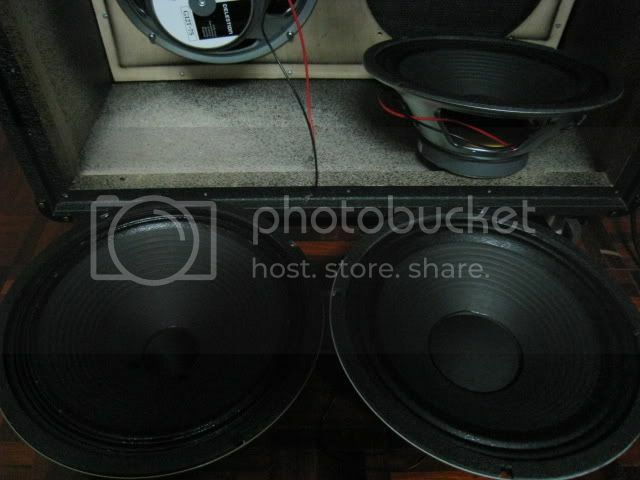 Remove two speakers of them. Bear in mind to keep these screws and washers carefuly. You need to use them later. 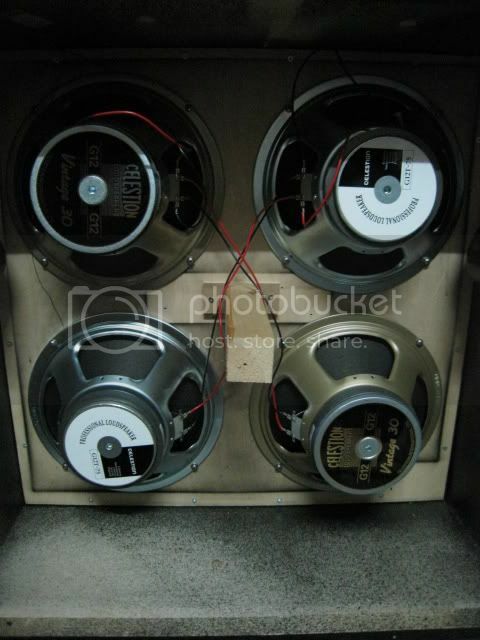 Stock Celestion G12T-75 and Vintage 30 speakers. Which one is the Vintage 30 ? Ans : Left one. 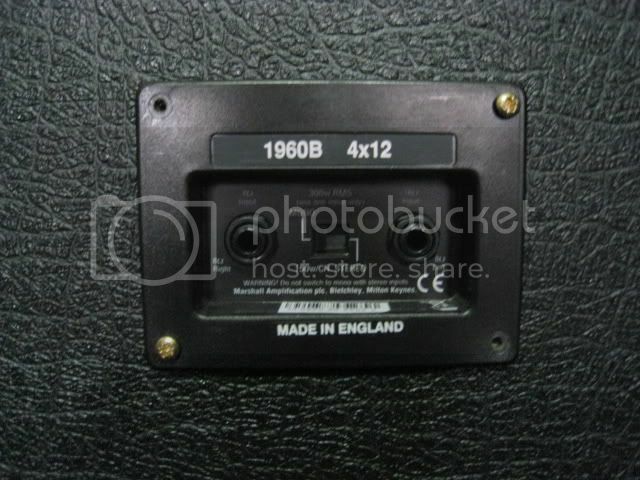 but you won't get the exactly Bogner cabinet tone from Marshall cabinet. 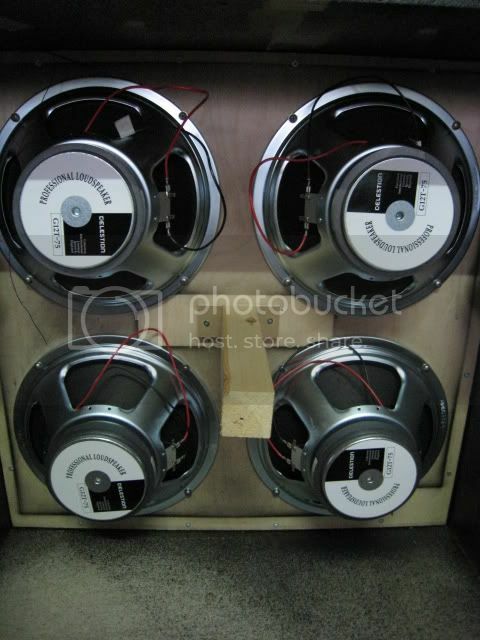 It is because the cabinet structure, size and material are also the major parts which affect cabinet sound character. 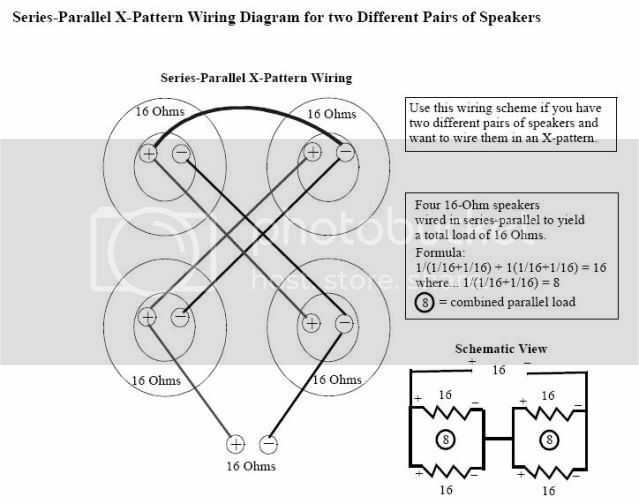 I followed the Series-Parallel "X pattern" wiring diagram. Black speaker cable connects to "-" terminal of the speaker. 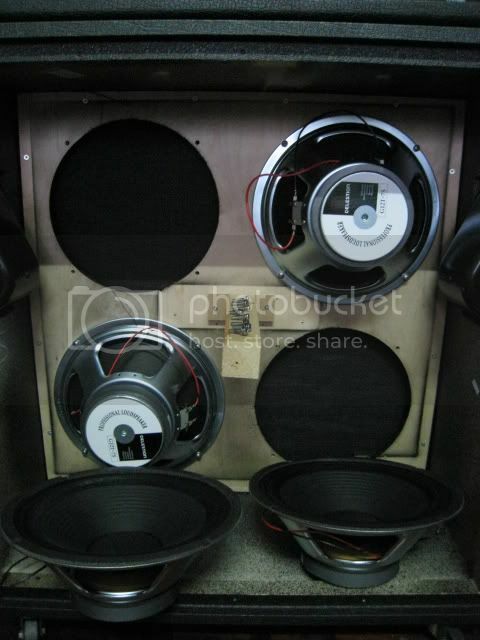 Put back the back panel of the cabinet. 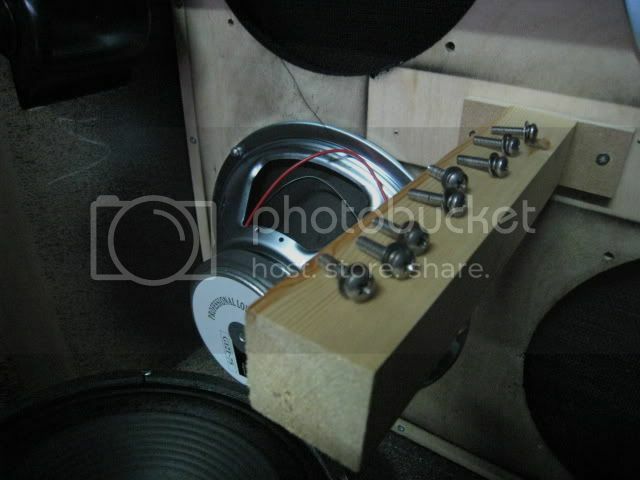 Reconnect the speaker cables onto the jack plate. Congratulation ! Mission completed ! 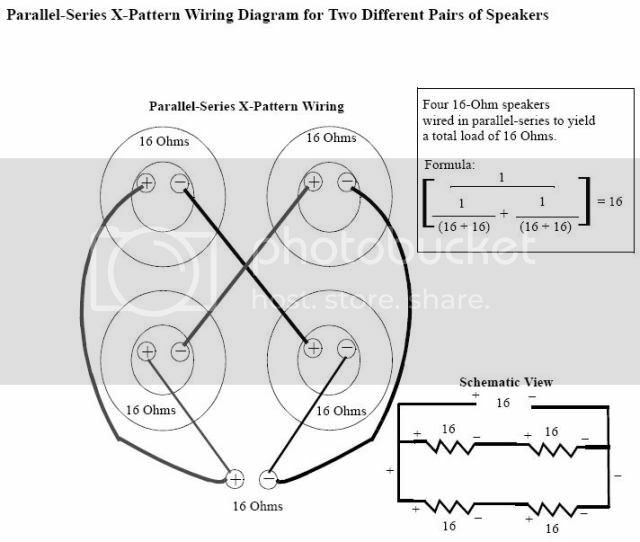 Left input jack (Total impedance : 4 ohm) became "Parallel-Parallel X-pattern wiring"
Right input jack (Tota impedance : 16 ohm) became "Series-Parallel X-pattern wiring"
Left side input jack (Total impedance : 8 ohm) became TWO Vintage 30 speakers wired together in "Diagonal" position. 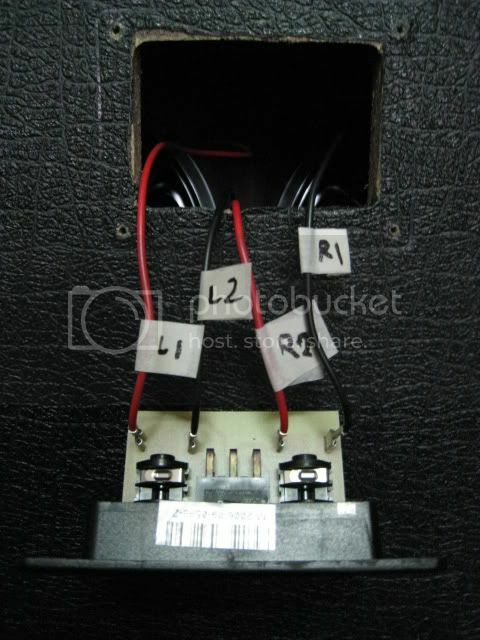 Right side input jack (Total impedance : 8 ohm) became TWO stock G12T-75 speakers wired together in "Diagonal" position. 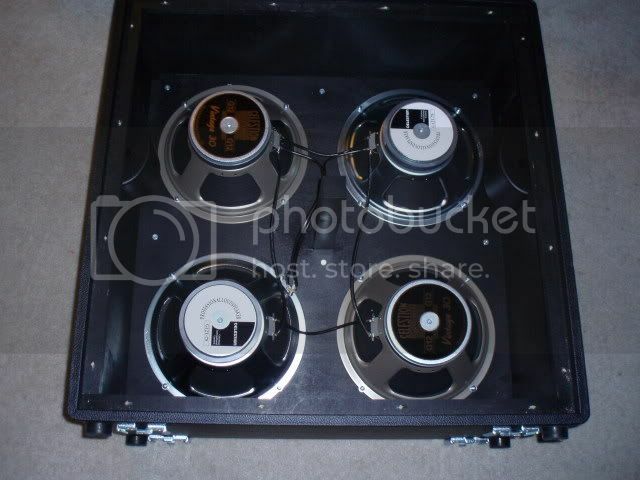 You will need to break-in the new speakers.